An Econyl swimsuit from The Summer House. T-shirts made from plastic bottles, swimwear crafted from fishing netscan fashion solve the planet's plastic woes? Pervasive and largely non-biodegradable, plastic is one of the planet’s greatest pollutants. The statistics are familiar: Every toothbrush ever made is still out there, plastic will outnumber fish in the ocean by 2050, and up to 10 million plastic bags are used every minute across the globe. Banning plastic is a significant step but what about its existing burden on landfills and oceans? The answer may lie in reinventing what we discard into what we wear—clothing made from recycled plastic. During the Lakmé Fashion Week Summer/Resort 2018, Reliance Industries Ltd (RIL) and IMG-Reliance collected 25,000 used PET bottles from the venue in Mumbai’s Jio Garden (Bandra Kurla Complex). The bottles were converted into a fabric called R|Elan™ GreenGold, and designed as a botanical-print T-shirt by Anita Dongre, launched on World Environment Day (5 June). “A T-shirt made from the fabric saves 15 PET bottles from ending up in landfills while a pair of jeans saves around 20 bottles," says Gunjan Sharma, chief marketing officer, polyester business, RIL. The used PET bottles are segregated, collected and processed to make clean flakes, which are in turn melted to create the Recron GreenGold fibre. 2018 seems to be the year when recycled plastic captures the collective imagination of clothing labels and consumers. Stockholm-based fashion brand Gant launched the Beacons Project in April to create a collection of shirts made with Tech Prep™ containing upcycled ocean plastic. Matthew Wood, creative director of Gant, says on email, “We want to make the world more beautiful and interesting, and I can think of no better way to demonstrate that than by removing the man-made waste that pollutes our seas and turning it into something beautiful and practical for our everyday lives." In recent years, a number of mainstream fashion brands have created sub-brands and collections, dedicated to reusing discarded plastic. Swedish brand H&M is known for its fast fashion, but its Conscious brand is an exercise in sustainability, with designs spanning from activewear to red-carpet ensembles made from recycled materials. Since 2015, adidas has collaborated with the environmental organization Parley for the Oceans to create sneakers using Parley Ocean Plastic™, a yarn made from upcycled plastic waste retrieved from beaches and coastal communities. The newest addition to this sustainable line is the UltraBOOST Parley—each pair of sneakers claims to help prevent approximately 11 plastic bottles ending up in water bodies. Closer home, Indian performance-wear brand Alcis Sports has been producing the Wonder Tee made from plastic bottles for two years. The Summer House, a Bengaluru-based slow fashion brand, offers a swimwear collection created from recycled fishing nets. “The irony of looking good on the beach at the cost of the sea was apparent to us. We had been thinking of a swimwear line for two years, but wanted to be sure to use fabric that would be sustainable," says Shivangini Padhiyar, co-founder of the label. Padhiyar and her team found their answer in Econyl, made from recycling discarded fishing nets and weaving them into nylon yarn. Designing with sustainable materials is filled with challenges, from sourcing materials to executing the designs. “The whole value chain needs to be studied and made transparent," says Wood, adding that it took the Gant team over two years of persistence and false starts before they met the team at Seaqual which produces the fabric for the brand. For The Summer House team, the challenges were amplified by lack of relevant experience. “Our team had never produced swimwear," says Padhiyar. “We wanted the quality of stitching to be on a par with the best, so the time taken to produce one swimsuit is the amount they (the team) would take for three-four dresses." Menswear from GANT’s Beacons Project. Reaching out to consumers remains another concern for manufacturers and designers. While people are becoming familiar with the waste generated by the clothing industry and the pitfalls of fast fashion, access to alternative fabrics is currently limited. A combination of new product categories and awareness campaigns may prove effective in disseminating the message. 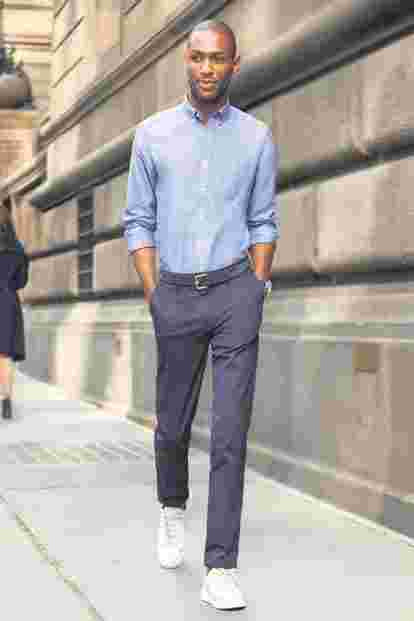 Gant aims to expand their line, and launch new Beacon Project products next year, in tandem with the brand’s 70th anniversary, including a pair of sneakers which Wood describes as his favourite. In India, RIL works with partner mills across the country, and Sharma expects the trend to gain popularity with the growth in the textile industry for exports and domestic consumption. “Large sections of people in tier 2 and 3 cities and rural areas of India are still unaware about the eco-friendliness of our fabrics," he says. “We are determined to reach out to them through popular media, and make them partners in development."